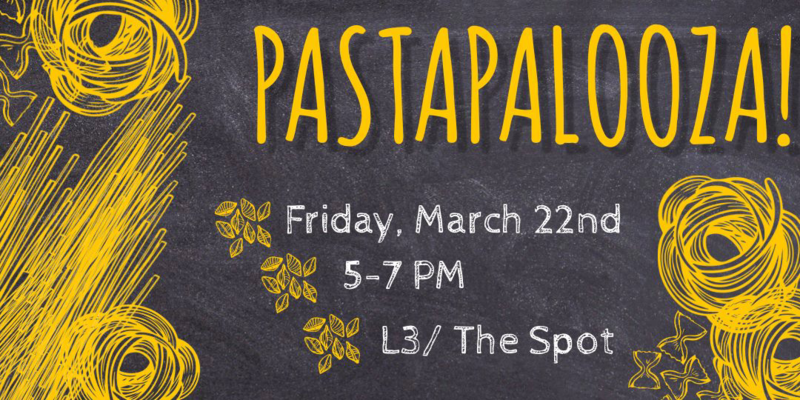 Kappa Alpha Theta and Sigma Nu want to invite you to PASTAPALOOZA!! There will be Theta Tater Tots and Sigma Nu-dles. i.e. a variety of pasta and tater tots. Come help us raise awareness for CASA and Habitat for Humanity while grabbing dinner before the comedy show! Time has been changed to 5-7 PM.